Dr. John Hudec has been a life-long believer in the City of Cleveland. While other colleagues were starting dental practices in the suburbs and outside the City of Cleveland, Dr. Hudec went against the norm and opted for the City as his foundation. In November of 1977, Dr. John Hudec opened the doors to his 1st operatory practice at 4283 Pearl Road in Cleveland. Dr. Hudec was the Doctor, Hygienist, Assistant, EFDA, Office Manager and Patient Coordinator. He waited for that first walk-in patient to come through his doors. Soon one patient turned into two and two into four. The practice grew as word of mouth spread regarding the care that Dr. Hudec provided. Dr. Hudec focused on doing the ordinary, extraordinarily well in all that he did. As more patients came, the need was created for more staff and more locations to meet the increased patient demand. The old fashioned way of building a practice allowed for substantial growth throughout the past 4 decades. Hudec Dental has now grown in excess of 100,000 patient visits a year throughout its several neighborhood locations. From 1 employee, Hudec Dental now is proud to employ over 250 dental professionals. Hudec Dental has now expanded their services to the Youngstown community. This growth will allow Hudec Dental to provide the quality care that everyone deserves. Being Cleveland born and raised, we try to give back to the community as often as we can. We have been serving our patients in the Cleveland area for close to 40 years and serving others is our priority. Our purpose is “to improve the quality of life of those we serve,” and we proudly continue to do that even beyond dentistry. Check out our 2016 contributions here! The reason Hudec Dental was founded and the reason it exists today is founded on Our Purpose, or reason for existence. Simply put, Hudec Dental’s purpose is To improve the quality of life of those we serve. Every patient we treat, every decision we make is rooted in our company’s purpose. 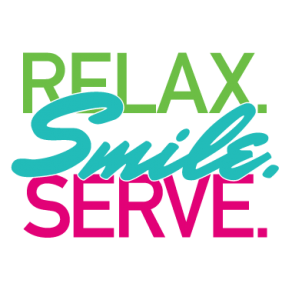 Hudec Dental also believes in serving and improving the quality of life of our staff. Our goal is to provide an opportunity for our staff to grow and develop as dental professionals. As an organization, we must continue to grow and be better today than we were yesterday. Hudec Dental is authentic. Hudec Dental is different. Differentiation happens in the How and Why you do something. The Why is our purpose or cause. In our case, our purpose is To improve the quality of life of those we serve. The How is how we show or perform our Why. At Hudec Dental the How is greeting every patient with a warm smile, firm handshake and friendly welcome. The How is doing the ordinary, extraordinarily well. True inspiration comes from the Why you do something (To improve the quality of life of those we serve), not What you do (Perform Dental Services). At Hudec Dental we seek to Inspire, to think differently and challenge the status quo. Hudec Dental is not a status quo company. We seek professionals who are not status quo people; we want people to challenge and inspire. Humanity – We believe in and adhere to the Golden Rule and treating others as we would like to be treated; truly caring for each staff member and patient; becoming involved and supportive of the local community. Honesty – Always upfront and transparent with staff and patients through all spoken and written communications. Healthy – The health of our patients and staff is paramount in everything we do. In addition to providing services to get our patients healthy, we are committed to educating our patients to improve their own overall health. Happy – We are in the business of improving smiles and confidence. We seek happy staff and happy patients and do whatever is necessary for happiness. At Hudec Dental we make it easy for our patients to feel Confident that they have made the correct decision to come see us. The unique combination of experience, convenience, professional diversity and Cleveland born make Hudec Dental a choice that you can be Confident in making. We have over 40 years of experience in serving Northeast Ohio. Our organization is comprised of experienced dental professionals who operate with the latest in technology and services. You can be Confident that Hudec Dental has the knowledge and appropriate staff to provide proper care for you and your family. Hudec Dental has several convenient neighborhood dental offices throughout Northeast Ohio. Our offices offer convenient night and weekend appointments. Hudec Dental accepts most all insurance plans and will submit all charges to your insurance carrier on your behalf. In addition to accepting all major forms of payment, we offer interest free financing and extended payment plans. Hudec Dental began in Cleveland with our first patient visit in 1977. Our offices have been built upon the foundation of service and doing the ordinary, extraordinarily well. Hudec Dental is honored to call Cleveland and Northeast Ohio home.